You’ll find Anderson’s on South Frederick Street in Glasgow which is the hottest part of town. Not only is it easy to get to (it’s literally right next to the train station) but it’s surrounded by the coolest boutique shops, hotels and the fabulous Museum of Modern Art. 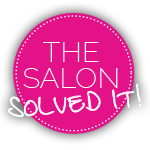 The salon is committed to reducing environmental impact, so owner, Keith and two of his friends contacted local tradesmen and businesses to request any unwanted materials to be left for them to collect. They then built and decorated the salon themselves, using these reclaimed materials. 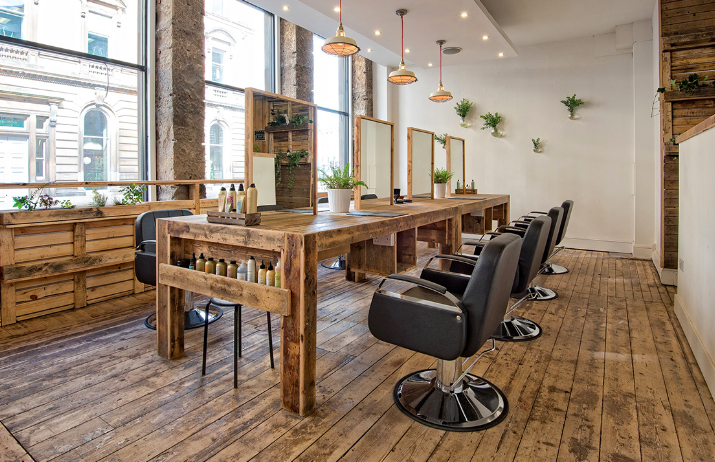 Most of the features in the salon are made of or decorated with reclaimed wood which gives the salon a natural and rustic feel. 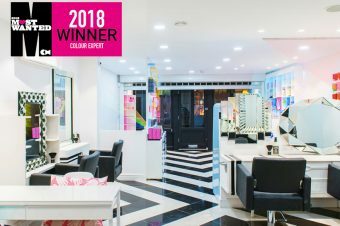 The outer facing wall was lined with large windows which spanned from floor to ceiling allowing the salon to be light and open and there is a feature wall in the “hair washing” area which is made entirely of reclaimed pallets. It’s not often that you can hang out by a living, breathing tree in a salon, but in Anderson’s you can! Keith wanted to add to the eco and natural vibe of the salon and felt that a full-on tree was the best way to do that, and we totally agree! Whilst you’re waiting for your colour to develop you can have a complimentary hand massage. Blissful. Everything that can be recycled, is. Used products are repurposed for storage containers. Nothing goes to waste. This is the latest colour technique developed by Davines and is exclusive to Davines salons. 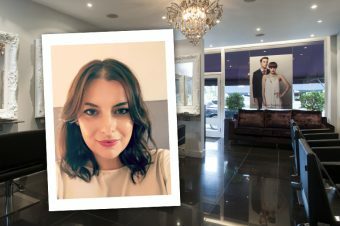 Anderson’s is th only Davines salon in Glasgow so this is a truly bespoke service that they offer. It is an alternative to the Balayage treatment, which gives a similar effect but a much more subtle colour change. Ideal for anyone who’s never had colour before. Flamboyage not only looks great but is super quick to have done too. Sections of hair are taken and coloured in foils whilst other pieces are backcombed and then the colour is applied. The dye, being Davines, was all environmentally friendly, and hadn’t been tested on animals. It only took 15 minutes to process then was washed out. Team work make the dreams work and all the staff at Anderson’s are super happy, smiley and most importantly, amazing hairdressers. What does it cost? 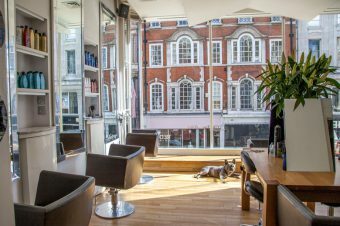 Flamboyage services start at £105 for a colour and blow-dry, or £115 for a colour, cut and blow-dry.